Manchester United defender Marcos Rojo suffered a setback on his recovery from injury after picking up a knock in an U23s draw against Reading. 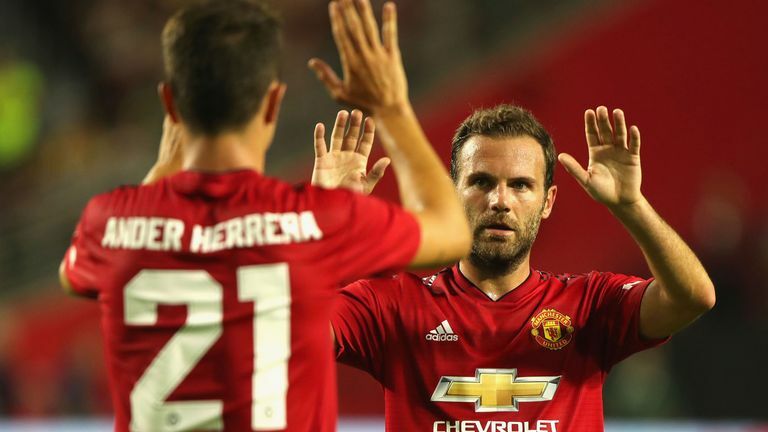 Jose Mourinho said Rojo and summer signing Diogo Dalot would be given the full 90 minutes in Friday's fixture so the pair could prove they are ready for first-team selection. "If they play the 90 minutes like we expect, then it will be the end of their recovery process and we will consider them ready to be back next week for full competition," he said in his pre-Watford press conference. Dalot came through the 1-1 draw against Reading unscathed but team-mate Rojo limped off after 54 minutes with an unconfirmed injury. United U23s boss Ricky Sbragia later told MUTV that Rojo would be "okay" after spending time with the club's medical staff. Rojo's last senior competitive appearance came in Argentina's 4-3 loss to France in the quarter-finals of this summer's World Cup in Russia.